As a global leader in fisheries and aquaculture research, science is at the forefront of our work, delivering robust evidence to policy makers, technological innovations to poor producers and consumers, and novel tools to transform fish agri-food systems. In this new series, we profile our emerging scientists, early career research talents who are already making a significant contribution to fisheries and aquaculture knowledge. Chikondi Manyungwa-Pasani is pursuing a PhD at the University of the Western Cape in South Africa, where her WorldFish and FISH-funded research focuses on the role of women in small-scale fish value chains in Malawi. She also works as a Chief Fisheries Officer at the Department of Fisheries in Malawi. She was awarded the inaugural Rosemary Firth Award for best presentation at the 2016 IIFET conference and a fellowship as part of the African Women in Agricultural Research and Development (2008–2010). Here, she talks about the research she is most proud of and why going to the field is her favorite part of the job. As part of my PhD, I’m investigating women’s participation in small-scale fish value chains around Lake Malawi and Lake Chilwa in Malawi and the governance of those value chains. This research, which started in 2016, is being undertaken as part of FISH and funded through the FishTrade program. What’s the most exciting thing about your research? Drawing attention to women’s involvement in domestic and cross-border fish trade. Women are contributing to driving local economies and fish exports and are thereby contributing to foreign exchange earnings through cross-border fish trade. What’s the most memorable situation you’ve found yourself in as a WorldFish scientist? When I got the Rosemary Firth Award for best presentation at the International Institute of Fisheries and Economics and Trade Conference (IIFET) in Scotland in 2016. I presented the preliminary findings of my PhD research. It was the first time I had attended an international conference of the nature of IIFET, and winning such a prestigious award was a very exciting moment for me. It’s given me the impetus to work extra hard to achieve more. Going to the field, because this is where you find real-life situations. You can design something on paper, but the reality may present a different scenario or challenge. There are a lot of expectations out in the field, and managing those to get what you want is an interesting process and a daunting task. What innovation do you think has the greatest potential to impact gender in small-scale fisheries in Malawi? Adding value to fish products. This could be achieved through the use of better fish processing technologies to improve the quality, profitability and competitiveness of fish products. What piece of research are you most proud of? As part of my PhD, I published a paper on women’s participation in fish value chains in a special edition of the Bulletin of Animal Health and Production in Africa. I'm proud of this because much of the work on women in small-scale fisheries in Malawi is not published, and this research is already attracting the attention of renowned scientists. That it will generate information about factors affecting women’s participation in small-scale fish value chains and identify the capacity needs of women value chain participants to enable them to expand trade opportunities. The study will also inform policy makers and other practitioners about the constraints and opportunities for advancing the gender agenda in small-scale fisheries in Malawi. 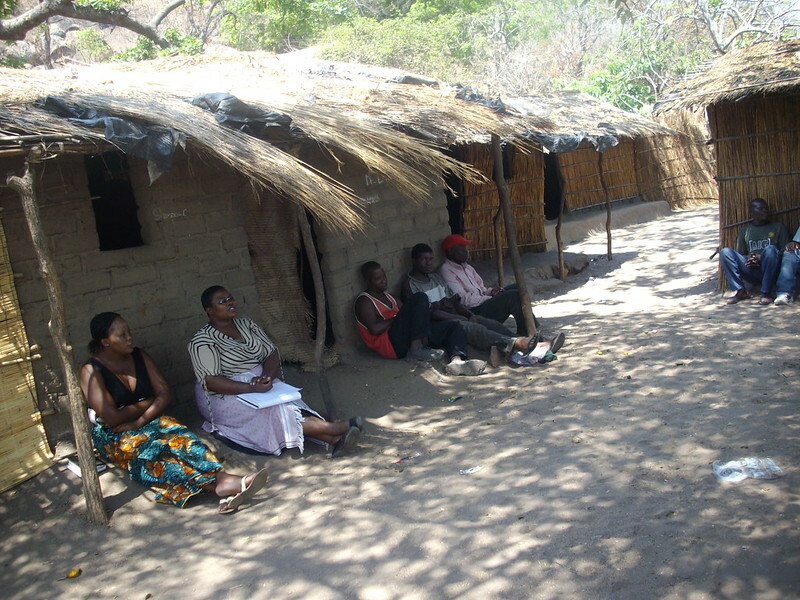 As a post-doc fellow undertaking in-depth gender analyses in small-scale fisheries in Malawi, to appreciate issues systematically over a period of time and contribute to wider debates across different contexts. “When we only collect data on men, we miss half the story. If we want to make informed decisions about our fisheries, we need to find ways to count all the people involved.” Dr. Danika Kleiber explains how the Illuminating Hidden Harvests project is filling the gender data gap in its global study of the contributions, drivers and impacts of small-scale fisheries. As a global leader in fisheries and aquaculture research, science is at the forefront of our work. In this new series, we profile our emerging scientists, early career research talents who are already making a significant contribution to fisheries and aquaculture knowledge. Here, we talk to Afrina Choudhury, a Senior Gender Specialist and recently elected Chair of the Bangladesh National Gender Working Group.